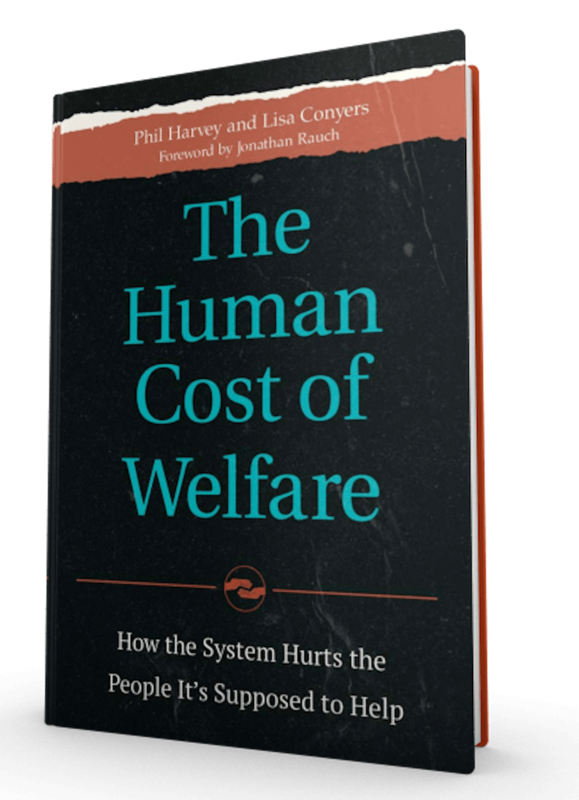 The Human Cost of Welfare, shipping February 29, 2016, shows that welfare programs as currently structured are doing more harm than good to their intended beneficiaries, despite their soaring costs. Drawing on more than 150 interviews across the United States — conducted in unemployment offices, in soup kitchens, and in places where the poor live — this book tells the stories of real men and women and leads to the inescapable conclusion that welfare as currently structured is hurting the very people it is meant to help. In other words, and contrary to popular belief, welfare reform needs reforming. The main problem revealed by our interviews and research is that welfare programs keep people from working, with crippling consequences not only for them but also for their families and our country. Time and again, our face-to-face conversations revealed the barriers to work that the system erects, and the ways it keeps people from getting past those barriers. Our book will provide readers with an inside look at how welfare works (and often doesn’t), and provide recommendations for reform drawn from a wide variety of scholars as well as our own recommendations gleaned from our research and interviews.